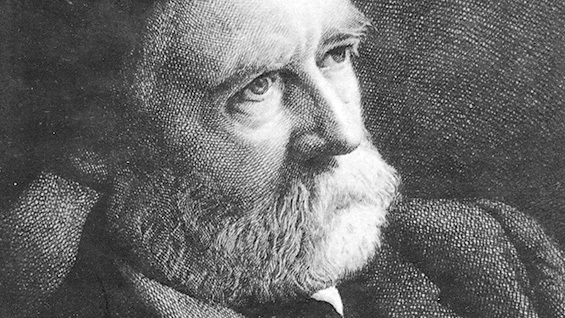 A free, public lecture on Theodore De Vinne (1828-1914), printer and type designer. Theodore De Vinne’s encyclopedic understanding of the printing craft, his advancement of its technology and design, his appreciation of its history, his business leadership, and his many writings earned him a reputation as America’s premier printer of his era. The De Vinne Press Building on nearby Lafayette Street still stands as a testament to his achievements. He designed two type faces; the descendants of one – Century – are still with us. It has been said that Type@Cooper is a gathering of type nerds. In that case, Theodore De Vinne would feel very much at home. This lecture is free, but registration is requested. Irene Tichenor holds a PhD in American History and an MS in Library Science from Columbia University. She has written and lectured on the history of printing, focusing especially on nineteenth-century New York City. Her biography of Theodore Low De Vinne, No Art Without Craft, was published by David Godine in 2005. De Vinne was also the subject of her Grolier Club exhibition (co-curated with Michael Koenig) in February-April 2014. Her career as a director of academic and research libraries has included two years at the Old Westbury campus of the State University of New York and nearly a decade at the Brooklyn Historical Society. Dr. Tichenor is a past vice president of the Bibliographical Society of America, as well as a past president of the American Printing History Association, in which she has held numerous other offices over the years. She currently serves on the Council of the Grolier Club, where she also chairs the Committee on Public Exhibitions. This lecture is part of the Herb Lubalin Lecture Series of Type@Cooper. The series is sponsored by the Herb Lubalin Study Center of Design and Typography at The Cooper Union, a public graphic design archive which places emphasis on a hands-on access to a wide range of design and typography ephemera.